Namaste Vayuh, tvam eva pratyaksham Brahmasi. ‘O, Vayu, you are the directly perceivable Brahman. Vayu represents Mind – Power, released from limits and boundaries of the fickle consciousness. It is this Enlightened Intelligence which manifests in forms of thought or of action not hampered by the falsehoods of sense. This enlightened intelligence, in its entire greatness free from limitation, a continent of felicity; this Power is that which befriends the human soul and carries it safe through the battle, to the summit of its aspirations. The activity of pure enlightened intelligence is sustained and increased by the conscious effort to radiate light. Light or Illumined will symbolized by the combination of Agni & Vayu. This Light – Giving is one of the greatest intoxications in life, for then it is possible to look beyond limitations and arrive at knowledge that we can refer to as illuminated intelligence. Right thoughts, right sensibilities – the full sense of the word “sumati”, which is the light in the thoughts; it is also a bright gladness and kindness in the soul. Vayu is the Lord of Life. By the ancient Mystics, life was considered to be a great force pervading all material existence. It is this idea which gave birth to the concept of Prana, the universal breath of life. All the vital and nervous activities of the human being fall within the definition of Prana and belong to the domain of Vayu. In the Rig Veda and the Vedas in general, it is the deities of the sphere of Vayu that predominate like Indra. Indra is often called Vayu and Vata. Indra is behind all the other Vedic deities including Agni, Surya and Soma, the principles of Fire, Sun and Moon that can only operate under the guiding power of Vayu. We connect to Vayu and prana through the breathing process. Pranayama allows us to work with and develop our connection with the cosmic prana. The purpose of pranayama is not just to bring in more air or give us power over the breathing process but to link us up to the unlimited energy of the cosmic Vayu. This occurs when we unite the dualistic energies of prana and mind so that our awareness can enter into the unitary force of Vayu. 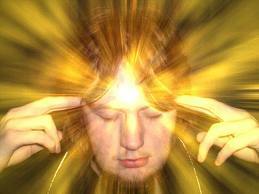 Mind is the link between ‘sense world’ and the ‘soul realm’. Mind operates through thought, which is a subtle, vital, living, force; capable of acquiring infinite power. Vayu represents this infinite power. Power of thoughts lies latent in us, and can be developed to make or mar our own life and destiny. We are continuously attracting forces and condition most akin to those of our own thoughts. Our particular thought within connects us with a similar thought from without. In yogic thought, Vata is also prana or the cosmic life energy that manifests from Akasha or cosmic space. Prana is Vayu as the guiding force of life and intelligence in the universe. Vayu holds the pranas of all living beings in its energy network that links them all together in the web of life. The soul is a portion of Vayu that has entered into the body with the help of fire or Agni. Vayu forms the second of a five-part series by Aanchal Sethi on the basic elements and how they manifest in our lives. The articles are an attempt to inspire the reader to introspect, recognize and draw strength from one’s inherent traits which seem to embody the characteristics of each of the five basic elements.